What cabinets and speakers are best suited for your amplifier? Charvel's Pro Mod guitars put 6 tonal variations at your fingertips. We're really excited about the addition of Charvel Guitars here at MESA Hollywood. The first to arrive have been the So-Cal and San Dimas models from the Pro-Mod Series. Being designed for speed & comfort, not only are they fun guitars to play but also fantastic sounding instruments. Every element of their design has been honed for playability and tone. Haven't been able to get your hands on the new MESA/Boogie® Fillmore™ 50™ yet to experience for yourself just how fantastic the amp sounds and incredible it feels to play. Well, we've got the next best thing with this collection of video demonstrations and playthroughs. What distinguishes the Head-Track & Switch-Track from other switchers & routers? Is the Floyd Rose Recessed Vintage Locking Tremolo the choice for your next Anderson? The 4x12 Rectifier Cab -­ There is no bigger tone! Filed under Blog, The 4x12 Rectifier Cab -­ There is no bigger tone! Let’s face it… Nothing sounds as huge, bold and punchy as great amp plugged into a MESA® 4x12 Rectifier® cabinet. That’s not to take anything away from their smaller siblings but unless you’ve experienced the majesty of a 4x12 Rectifier cab you’ve yet to truly understand what fuels the fire of Rock Legends and inspires those incredible riffs that elevates them to stadium filling icons. 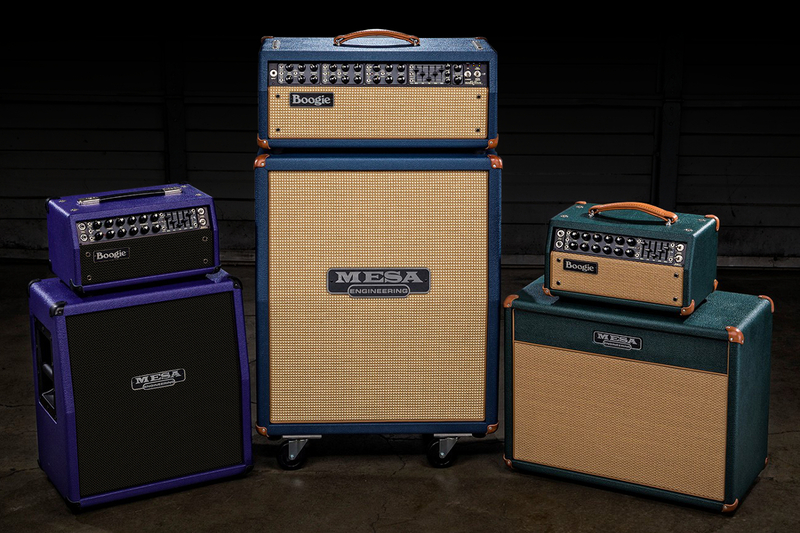 Which MESA/Boogie Mark Series Amplifier is for you? Filed under JP-2C, Mark Five, Mark Five: 25, Mark Five: 35, Mark Series Designs, Mark V, Which Mark Series Amp is for you?